The first four seals demonstrate the rapid progress of the Christian church. The last horse we studied about represented a dying church. Can Jesus overcome this unthinkable scourge – a persecuting church directed by the spirit of the antichrist? The answer is a resounding “YES”! Even though such groups as the Waldensians were pursued and tortured, the truth of the Scripture and the faith of Jesus were kept alive! The price they paid made it possible for people today to have religious freedom and unparalleled access to the Scriptures. Who were the Waldensians? It started in France in the 12th century, although some would argue they go back as far as the Apostles. They were in Italy, France and Germany. They were hunted down, burned, and impaled. Yet they kept their faith and managed to spread the gospel even during the most trying of times. The claim is the movement began in 1177 by a Peter Waldo on the streets of Lyon. Down through the ages the church has been tested and tried, as was her Master. Like Jesus before Gethsemane, these remains before her one final test. The last three seals focus on the power of Christ to bring forth a church in His own likeness. Answer: I saw under the altar the souls of those who had been slain for the word of God and for the testimony which they held ­­­­­How long O Lord . . . Some have thought the altar represented in this prophetic picture is the bronze altar, the altar of burnt offerings, in the court yard of the sanctuary. There could be some validity to this thinking. But, a careful study of this time in prophetic history would have Christ already fulfilling of the sacrifice and having been buried and subsequently raised from the dead. The time frame of the Fifth Seal at or nearing the close of the 2300 day prophesy. We touched on this prophesy slightly in Lesson 6 and will do more study of the 2300 day prophecy in Lesson 11. Christ had already been enthroned at the coronation ceremony that took place at Pentecost when the Holy Spirit was poured out upon the Apostles and the other 120 people that were crowded into the upper room in Jerusalem. It was also at this time that Christ became our High Priest and started His ministry in the Holy Place. It is hear in the Altar of incense would burn with the sweet aroma of the smoke lifting toward heaven. The symbol of the smoke rising from the altar was representative of the prayers of the people ascending to God. Since Christ’s ministry in the Holy Place took place before the Altar of Incense the voice of the saints that had been placed under the Altar would now symbolically cry out asking how much longer! How much longer before you judge and avenge. They cry for vindication dramatically symbolizes the cry of the Reformation to return to “The Bible and the Bible only” as the textbook for belief. Like the blood of Abel, which cried unto God for vengeance (Genesis 4:10), those arose a great appeal for vindication of the truth for which the martyrs had died. Revelation 16:5-6; And I heard the angel of the waters saying: You are righteous, O Lord, The One who is and who was and who is to be, Because you have judged these things. 6 For they have shed the blood of saints and prophets, and you have given them blood to drink. For it is their just due. The angel referred here as the “the angel of the waters” is just that. The angel that has jurisdiction over the water. Given the power to pour out the contents of the bowl but also the power to restrain or keep the contents of the bowl in the bowl until the appointed time. Similar to the four angels of Revelation 7:1, angels with the power to hold back the winds of strife and Revelation 14:18, angel that has power over fire. God has granted certain angels to have power over certain aspects of physical earth. As the Revelation unfolds or last day events unfold, those restraining powers will be withdrawn allowing the inhabitants of earth to reap what they have sown. John 16:1-4; These things I have spoken to you, that you should not be made to stumble. 2 They will put you out of the synagogues; yes, the time is coming that whoever kills you will think that he offers God service. 3 And these things they will do to you because they have not known the Father nor Me. 4 But these things I have told you that when the time comes, you may remember that I told you of them. God has never promised that life as a Christian would be easy. In fact when we study Christ’s life on earth it is apparent that he suffered daily at the hands of the religious leaders and even from the disciples as well. It is for this reason that God has given us this revelation of what is coming, not to discourage us, but to help us understand. God so desires us to be informed of what is coming so that it will not become a stumbling block to us, instead it teaches us to place our trust fully on God the Father. 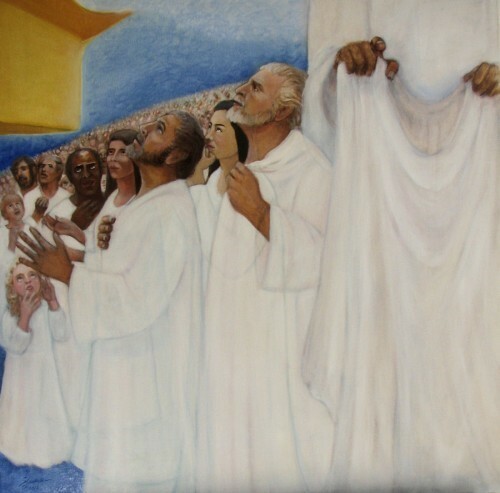 NOTE: White robes are symbolic of Christ’s righteousness (Revelation 19:8). 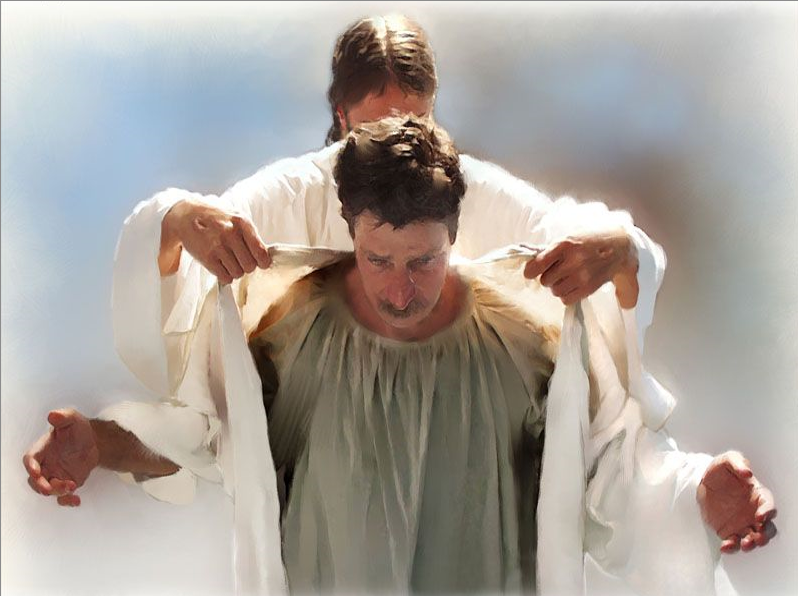 Those who come out of great tribulation receive white robes (Revelation 7:13, 14). Only overcomers are clothed with white raiment. The implication here is that those who receive white robes are guaranteed salvation. The word used for robe in this instance is different than the word used for robe in Revelation 3:5; and revelation 4:4. The Greek word used in this instance is “Stole” which was a long robe worn as a mark of distinction (see Mark 12:38). Although the representation seems to be designed to show that in spite of their deaths and the fact that they were martyred for their faith, their death has not been avenged by God. Yet, God already recognizes them as conquerors. What comforting words these are to those in John’s day and for all Christ’s followers to the end of time. God recognizing the service and commitment to Him by these that faithfully gave their all. NOTE: Delay under abuse is always difficult. Yet time must be given for the church to bear the brunt of attack. Delay also works in God’s favor, for the church is forced to trust Him more and more. She learns to wait patiently, calmly, and with certainty. Matthew 22:1-14 shows us that all that God requires of us for admission to His heavenly banquet is possession of the wedding garment, His own white robe. Receiving the white robe is akin to receiving the rider on the white horse. The garment represents His own purity and righteousness, which we accept and make our own through faith. When the martyrs received the white robe, they also got everything else that matters, life and health and joy with God and his people in His kingdom forever. 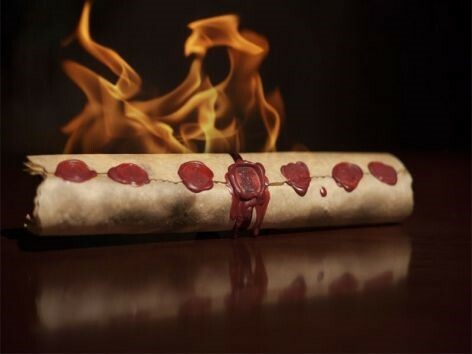 The events of the 5th seal and the Martyrs calling out take place before the close of the 2300 day prophecy. Special Note: It is important for us to note that the saints cannot literally cry out from under the altar. In the future lesson we will learn what Revelation and the rest of the bible teaches about death and what happens at death. So these saints crying out is symbolic., yet we have their testimony across the sacred pages of the Bible and throughout histories text books. Their testimony should cheer us on giving us hope and strength and better teaching us to rest or place our faith upon the only thing in this time that matters, and that is Christ Jesus. NOTE: These great events signaled the time of the end. As the sixth seal is opened, we discover that the language changes from symbolic to literal. God here talks about events that can plainly be seen which clearly mark the time of the end. ADDITIONAL NOTE: Genesis 1:14 states; “Let them be for Signs” which of course refers to the Sun and Moon . . . But this time period, as we read in Revelation 6:12 & 13, also marks the beginning era of the Christian history that is marked by the 6th church, the church of Philadelphia. 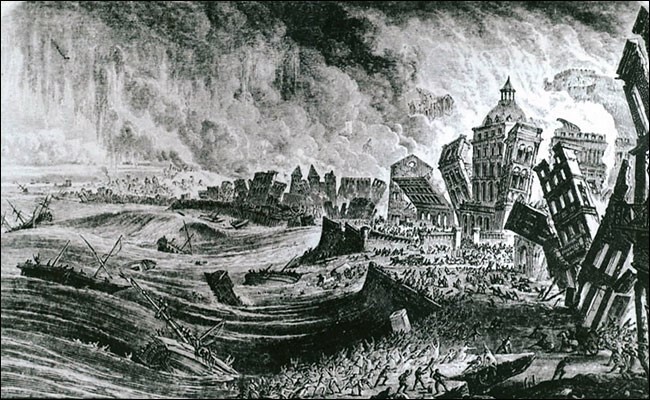 The earthquake was followed by fires and a Tsunami. The magnitude of the quake is estimated to 8.5 – 9.0 magnitude. To put the earth quake in perspective. In 1906 when the San Francisco earth quake hit, it not only effected and nearly leveled San Francisco, it was felt as far south as Los Angeles which is nearly 400 miles away. The Lisbon Earth quake covered an area that was far bigger than the San Francisco quake. Imagine an earthquake that not only shook San Francisco and Los Angeles but also shaking Seattle, Salt Lake city, Denver, and Albuquerque, and yet going beyond these geographic boundaries to also disturbing the Great Lakes and the Hudson River. That was the size of the Lisbon Earthquake. Let me also point out that Lisbon although located in Portugal was one of the centers of the Inquisition that pitted the church against anyone daring to speak out in favor of Bible Truth. But the earth quake served another purpose. It served to awaken interest in the age old question about God and the presence of evil. 6. When did the sun become black? ADDITIONAL NOTE: At Harvard College, the obscuration was reported to arrive at 10:30 am, peaking at 12:45 pm, and abating by 1:10 pm, but a heavy overcast remained for the rest of the day. The obscuration was reported to have reached Barnstable, Massachusetts, by 2:00 pm, with peak obscurity reported to have occurred at 5:30 pm. The likely cause of the Dark Day was smoke from massive forest fires. When a fire does not kill a tree and the tree later grows, scar mark are left in the growth rings. This makes it possible to approximate the date of a past fire. Researchers examining the scar damage in Ontario, Canada, attribute the Dark Day to a large fire in the area that is today occupied by Algonquin Provincial Park. So, I did a little research on prevailing winds in Massachusetts specifically and New England in General. Being next to the eastern sea board and being the month of May, the prevailing winds generally come from an easterly direction to southwesterly direction. A map of New England and Canada would show, if the prevailing winds are correct for the time of year that a fire in Ontario would be less likely to be the cause. But may I remind you, Christ on two different occasions caused the winds and the sea to be calm. He certainly could cause a change in the direction of the wind and used the forest fire in Algonquin Provincial Park to His purpose. 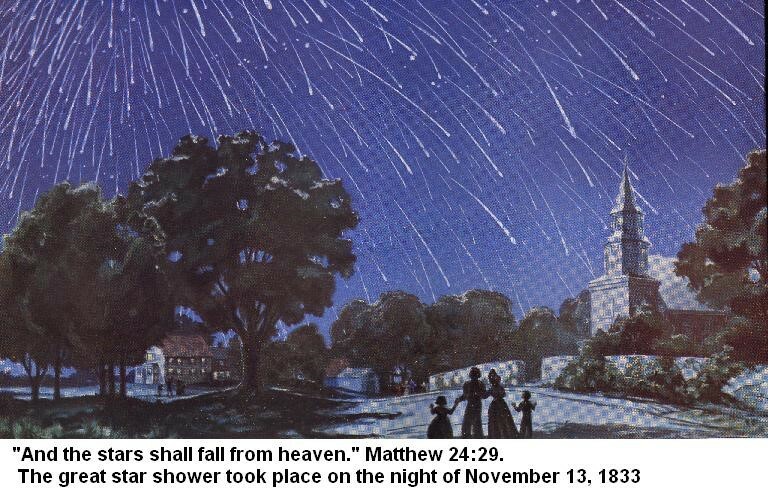 Not only did God calm the winds and the sea, He on two separate occasions affected the travel of the sun across the sky. The first was in Joshua 10:12 when Joshua prayed that the sun would stand still so that the battle could be won over the Amorites. Then in II Kings 20:9-11 and Isaiah 38:8 King Hezekiah is ask for a sign that he would recover and be healed a sign from God of either the sun moving forward by 10 degrees or backward by 10 degrees. The King chose to have the sun move backward by 10 degrees to be show God’s power to the world. Later in the story of Hezekiah you read of Babylon sending embrasures to Hezekiah to inquire as to why the sun moved backward in its travels across the sky by 10 degrees on the sun dial. God controls the world so that should he decide that one of his signs be that the sun be darkened we can rest assured it will darken it in any way that he chooses. Nevertheless of His choice in how it was done, May 19th, 1780 has become to be known in American History as the Dark day. 7. 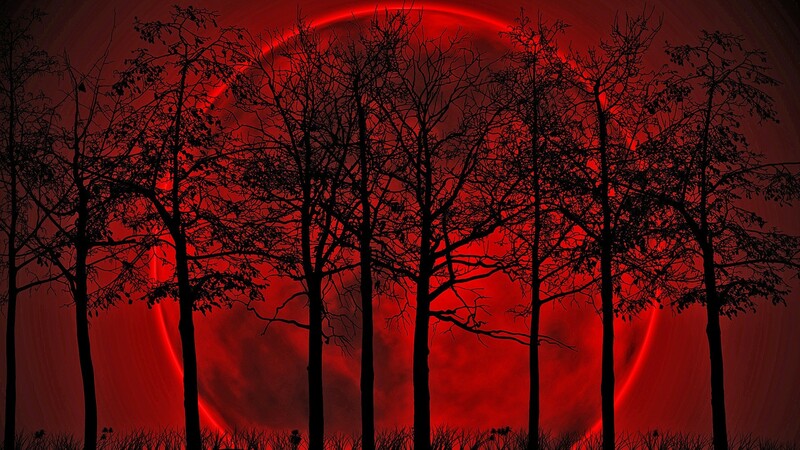 Did the moon turn to blood? 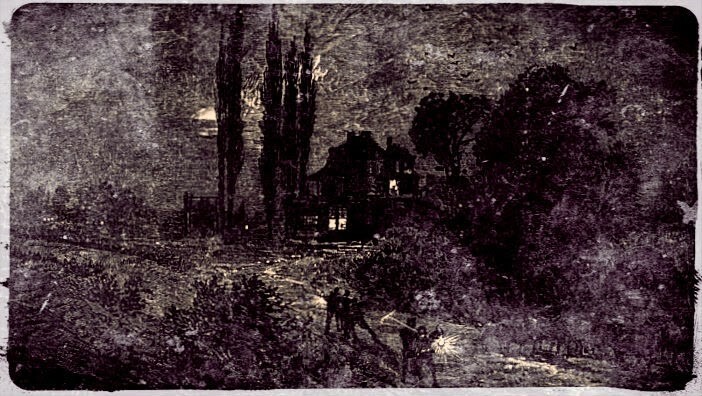 ANSWER: Eyewitnesses of the Dark Day said that the next night as they looked up at the sky, they saw a blood-red moon! In the Olivet Discourse Jesus said, “Immediately after the tribulation of those days (the 1260 year-day) the sun will be darkened and the moon will not give hits light.” Matthew 24:29. Catholic persecution virtually ceased in Europe in the middle of the eighteenth century. The last “heretic” to be martyred in France, a Reformed Pastor, died in 1762. Pope Clement XIV personally outlawed the Jesuits (the Society of Jesus) in 1773. So the timing of the May 19, 1780, event was right. And people reflected on it for the place was right. New England was a center for Bible study, noticeably more so in comparison with the other newly independent American states. 8. When did the stars fall? But many ordinary people, filled with awe were also inspired with joy in the hope of the second coming. Why did these events take place primarily in Europe and North America? Because this is where people had been studying the Bible, pondering the prophecies and learning of the truths that had been hidden away for centuries. They happened where people were prepared to perceive their importance, where communication could take place. A dark day in any other part of the world would not have had the same effect. This time period in Europe and North America has been called the great awakening. 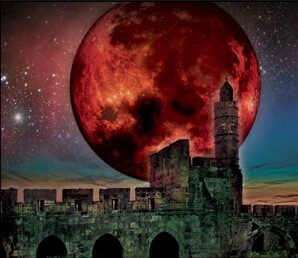 These events, the Lisbon Earth Quake, the Sun darkened, the Moon turned to blood and the stars falling from the sky preceded by just a few years the ending of the longest time period in Bible prophecy, the 2300 day prophecy. We have looked into this some the past two lessons. This is when Christ moved from the Holy Place into the Most Holy Place and started the investigative judgment. We will learn more of this in the weeks to come. Important information for us all to think on is that a careful study shows that we are living between Matthew 24:29 and Matthew 24:30 and 31. We are also living between verse 13 and 14 of Revelation 6. How awesome it is to see that God’s plan is moving forward. Each day, little by little we are coming closer and closer to the time God the Father has appointed as the appointed time. These prophecy are to give us hope, and the assurance that God’s word is true. What is being described as taking place under the sixth seal is Christ coming forth from the heavenly sanctuary to pronounce “He that is unjust, let him be unjust still and he that is righteous, let him be righteous still.” Revelation 20:11. Isiah 34:4 also speaks of the heavens being rolled up like a scroll. Both these passages are references to the close of probation and Christ’s second coming. It is at this time, each shall receive his reward. All those people living on the earth will either have made their decision for Christ or against Christ. Probation has closed. All have made their decision. NOTE: Graphically portrayed here is the reaction of the unsaved to the second coming of Jesus in the clouds of glory. But their reaction of wanting the mountains and caves to fall upon them is a reaction to the heavens being rolled back and the pronouncement of Christ that it is finished. When Christ called out it is finished at the cross the earth shook, and upon his pronouncement that probation is finished the earth will also shake. No longer will God strive with man and mankind’s response is one of fear and panic as they realize they can no longer stand in the face of Christ righteousness. Out of fear they cry for the rocks and mountains to fall on them. As Adam and Eve tried to hid themselves from God when they partook of the fruit, (see Genesis 3) so will unrepentant sinners wish to hide themselves from Christ and his righteousness. Sin cannot withstand the brightness of Christ’s righteousness. God’s glory will be like a consuming fire. The rolling back of the heavens, the pronouncement from Christ that it is finished and the earth trembling as God withdraws his protection from the earth makes sinful man run and hide from the presence of the Lamb that was Slain. 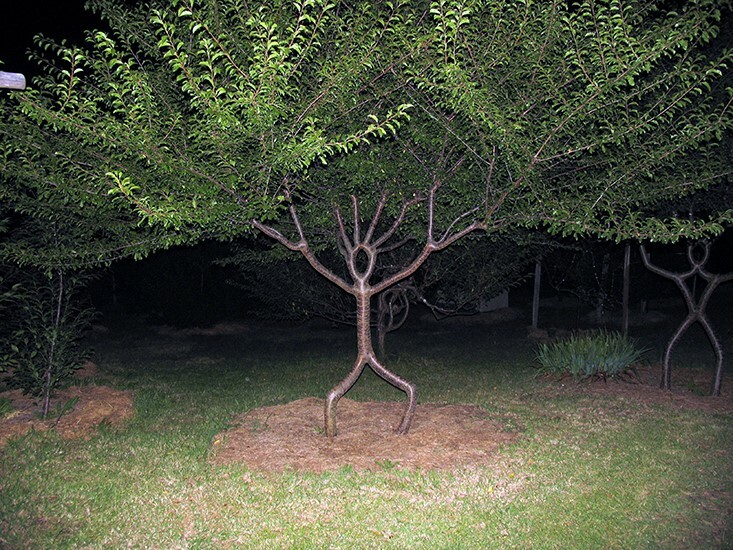 So this begs us to ask, who can stand. Who left on earth is still able to stand before the Lamb that was Slain? Even the wicked will ask this question as we see in our next question. ­Answer: Who is able to stand? NOTE: What a day that will be for those who are ready to meet Jesus! They will joyfully exclaim, “Lo, this our God; we have waited for Him and He will save us.” But what a sad, sad day that will be for those who have rejected or neglected to accept Jesus as their Saviour and Lord. As mentioned just a few paragraphs ago, isn’t it interesting to notice that our generation finds itself living just between verses 13 and 14 of the sixth chapter of Revelation. We stand waiting for probation to close. But until then God continues to strive with His earth children. God’s grace is sufficient for all, it is up to us. Do we by faith accept Him at his word or do we reject Him. ADDITIONAL NOTE: The question is asked in verse 17 “Who is able to stand,” and the seven seals are intended to answer the question. Those that accept Christ’s grace by faith are the only one that will remaining standing. ADDITIONAL NOTE: Jesus is referring back to Daniel 7:11 and the little horn that speak pompous words. It was in 538 AD that the Roman Empire finally fell to the barbarian tribes of what became modern day Europe. In Rome there was no more civil government that was governed by Caesar, instead both civil and religious authority rested completely with the Bishop of Rome. Civil and Religious powers were now united under one person. The result was persecution of all people that would fail to agree with this new religious-political power. This has been general accepted by Bible scholars of the time of tribulation spoken of by Jesus in Matthew 24:29. As history shows, 538 when the Roman Empire fell and Holy Roman Empire came into power. When did this time of tribulation end? In 1798 when Napoleon’s General Berthier marched to Rome, unopposed on February 10, 1798, and, proclaiming it a Roman Republic, demanded of the Pope pronounce renunciation of his temporal power. The Pope refused and upon his refusal he was taken prisoner, and on February 20, 1798 the Pope was escorted from the Vatican to Siena, and there to the Certosa near Florence. The French declaration of war against Tuscany led to his removal (he was escorted by the Spaniard Pedro Gómez Labrador, Marquis of Labrador) by way of Parma, Piacenza, Turin and Grenoble to the citadel of Valence, the chief town of Drôme where he died six weeks after his arrival, on August 29, 1799, having then reigned longer than any Pope. From 538 A.D to 1798 A.D. is 1260 years. This was the time of tribulation. We will study this time period as part of our study of the 2300 day prophecy in Chapter 11. 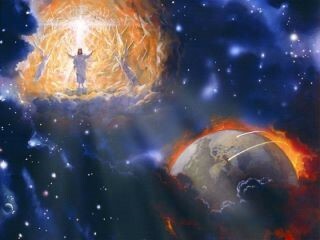 NOTE: The sings in the heavens have been fulfilled, and we can confidently look for the soon return of our Lord. The question is, who will be able to stand? Will you? This question is answered in the next few verses of Chapter 7. NOTE: Those who receive the seven last plagues have received the Mark of the Beast. Those who are able to stand in that day of wrath are marked with God’s seal. In future lessons we will learn about the Seal of God and the Mark of the Beast. 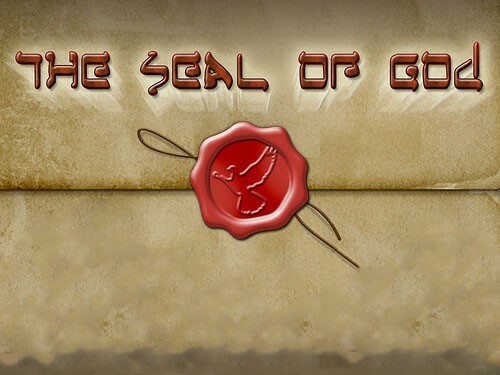 But for now let’s limit our understanding of “Seal of God” as a seal or distinguishing mark upon those that have been set aside for a purpose or as a mark given to them indicating that they belong to something or someone. This sealing mentioned by John is drawn Ezekiel 9 which describes God’s people in ancient Jerusalem in which those that remained faithful to God were symbolically sealed. This symbolically happened before the destruction of Jerusalem at the hands of the Babylonians. In Ancient times the King would place his seal upon something to protect it or designate it as his and this is the same thing Christ does, he seals his faithful earth children protecting them and signifying that they are His for all eternity. See Jeremiah 25:31-33; Jeremiah 49:36-37; Jeremiah 4:11-13 and Zechariah 7:14 for what wind is reference to in the Bible. NOTE: Notice the last phrase, “but only those men.” Here we find that the sea, grass, and trees are personified, representing people. ADDITIONAL NOTE: Tree: Psalm 1:1-3 Psalm 92:12 – 14; Jeremiah 17:7 – 8: Grass: Job 5:25; Isaiah 37:27; Isaiah 40:6-8 Each one of the above verses ties either trees or grass as representing people. ADDITIONAL NOTE: The seal of the living God here appears to be the same as the Father’s name in Revelation 14:1. Both the seal of God and His name are placed on the people’s foreheads. God’s name is a term often used to represent His character. The meaning seems to be that Christ seals His end-time people be developing in each of them a beautiful reproduction of His own lovely character. We will learn about this in chapters 12 to 14So Christ clothed the martyrs with His righteousness in order to shield them from eternal death. He promised to develop His righteous character in the 144,000 in order to seal them from the terrors of the four winds. The sixth and seventh seals remind us also of Christ’s standing promise to come back to earth a second time. 17. What other group of people did John see standing before God’s throne? Revelation 7:9, 10. Many have feared that the only people that will be saved will be the 144,000. They are representative of all the people that will be saved. Just before the close of probation, many will accept Christ as their Saviour. This group of people will live through the final time of trouble, a time of trouble as never before, but they will persevere and will come through the time without suffering the same fate as the rest of the world. The last part of the sixth seal and the seventh seal are all about the Christ’s second coming. What is the 7th seal? It is the second coming of Christ. NOTE: A prophetic day represents a year (Ezekiel 4:6). Twelve hours would be six months, one hour would be two weeks and a one-half house would be one week. So heaven will be silent because it will be empty for one week. Jesus and all the holy angels will come again to planet earth during this time. This time frame mentioned above is based on a day equally one year. So the question become, how long or rather how many days equals a full year. Especially since our own calendar has days in which there are 30 days, months which have 31 days and poor February sitting all alone with 28 days. The Jewish calendar was based upon 30 day month. 30 days X 12 months equal 360 days. A full day is 24 hour hours so a half a day would be 12 hours. So half a day would equal 6 months. Six hours would be 3 months. Dividing this further down, then two hours would then present one month with on hour representing two weeks. So a half hour would equal about one week. We might suppose then that it will take nearly a week for Christ to come and gather his saints and for Him, His Angels and the Redeemed of the earth to travel to heaven, where the He has prepared a home for us. John 14:1-3We can rejoice and be assured that what God has promised, he will do. My Response □ Please pray for me that I might surrender my life completely to Jesus as my Saviour and Lord. Supplemental Reading: God Cares, vol. 2, pp. 174-220. □ I want to be in the group who welcomes Jesus when he comes. Love your art work and picture collection, thank you, but you really have to stretch the scripture to get that we are living at the time of the opening of the 6th Seal. Hi Rich. If the seventh seal is Christ’s second coming, I’m curious where you believe we are in earths history in relation to the seals?